"It makes us proud to know that Gartner, an information technology research organisation, declared Bangladesh as an IT outsourcing destination among 30 countries. I believe it has been possible only because of education and technology.” These were the words of Architect Yeafesh Osman, State Minister, Ministry of Science and Information and Communication Technology at the award giving ceremony of the National Collegiate Programming Contest 2011. Truly, the world today is heavily dependent on technology, and computers are no exceptions. Be it in banks, hospitals or even our homes, this indispensable piece of technology has made its place in our lives as much as the other necessities. But what gives this device of wires and steel, life? What makes it so smart as to perform the hardest of tasks, making our lives easy and fast? Well the answer is computer programmes, without which, computer programming, computers would be a body without a soul. In its simplest form, computer programming is a lot like writing down the steps it takes to do something, just like one would do to compose music or even build a house. Each team was given a set of eight problems at the NCPC 2011 Women Contest. When the rest of the world is working on enhancing programming skills through contests, projects and much more, our country is no longer lagging behind. 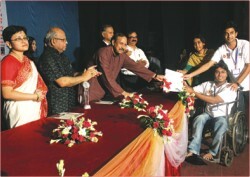 The Department of Computer Science and Engineering, University of Dhaka, organised a two day long National Programming Contest from June 3-4, 2011. 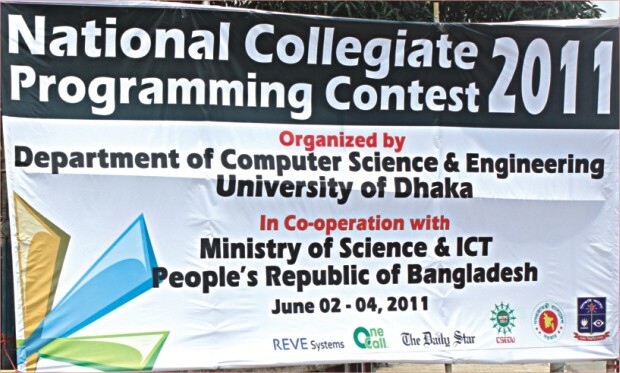 Supported by the Ministry of Science and ICT, the National Collegiate Programming Contest (NCPC) is a national event, where students participate from different universities from all over Bangladesh. Since its inception in 1998, the contest has been a highly successful event for fostering the programming skills within university students. Winners of the NCPC 2011 General Contest. Winners of the NCPC 2011 Women Contest. If looked closer, the blood line of programming leads to the world's first computer programmer, a female named Ada Lovelace. Until now, NCPC has been arranging general contests, open to both male and female participants. However it is probably the inspiring Ada Lovelace that a new dimension was given to this year's NCPC 2011 programme by arranging, for the first time, a special and exclusive programming contest for women namely, NCPC 2011 Women, along with the NCPC General Contest, to encourage female students in programming and technology. Like the NCPC 2011 General Contest, each team of NCPC 2011 Women had three members along with a coach, save that the team members were all females. 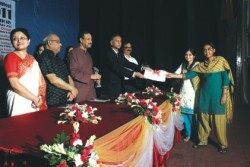 While every team had to pay a registration fee for the NCPC 2011 General Contest, Bangladesh Women in Technology (BWIT) waived the NCPC Women Contest to encourage more females to participate at the contest. The participants in this session were also able to take part in the NCPC 2011 General Contest. The NCPC 2011 Women Contest had 50 participating teams, while on the other hand 80 teams participated in the NCPC 2011 General Contest. On the sunny morning of June 3, the Department of Computer Science and Engineering (CSE) was filled with organisers, teachers and not to forget the enthusiastic female participants. The contestants not only bore nervousness but also an excitement, for being a part of such a historic event. Expressing her feelings, Professor Dr Suraiya Pervin, Program Chair, NCPC 2011 and Chairperson, Department of Computer Science and Engineering, University of Dhaka said, “It is for the first time that a contest is arranged solely for females and I am glad to be a part of it.” The programme was inaugurated by Professor Dr A A M S Arefin Siddique, Vice Chancellor, University of Dhaka. The morning of June 4 was no different, except for the fact that a few of the known faces from the NCPC 2011 Women Contest were also seen among the other male contestants at the NCPC 2011 General Contest. The chief judge of both the NCPC 2011 contests was Professor Dr M Lutfar Rahman, Department of Computer Science and Engineering, University of Dhaka. After the thrilling and mind boggling contests came the most awaited award ceremony, held at the TSC Auditorium, University of Dhaka. The auditorium was filled not only with guests, academics and bright programmers from all corners of the country, thriving with talent and the urge to learn. Architect Yeafesh Osman, State Minister, Ministry of Science and Information and Communication Technology graced the occasion as chief guest. Professor Dr A A M S Arefin Siddique, Vice Chancellor, University of Dhaka presided over the program while Professor Dr Suraiya Pervin, Program Chair, NCPC 2011 and Chairperson, Department of Computer Science and Engineering, University of Dhaka gave her vote of thanks. The first ten teams were announced and called on stage, where each team received certificates and award money, while the winners received a crest along with the certificates and award money. Like Shamima, we too believe that through education and contests like NCPC 2011, the thriving potential of our future programmers will be nurtured well.